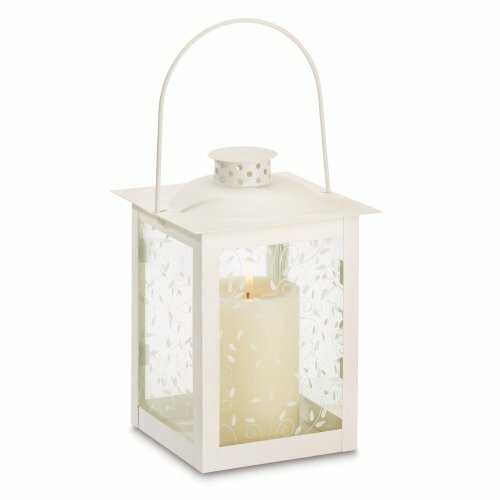 When lit from within by candlelight, these old-fashioned lanterns are a true delight! The panels' gracefully curling vine design takes on a magical glow. Perfect for adding special sparkle to your next garden party! Candle not included. Metal and glass. 5 3/4" diameter x 8" high. Great addition to your yard.